The Altitude Training Mask for Live Well Lifestyle required a quick turn around to help the client achieve their goal for product launch. Concept sketches were delivered, a design was selected and Solidworks CAD was further developed while manufacturing discussions were taking place between the client & supplier. 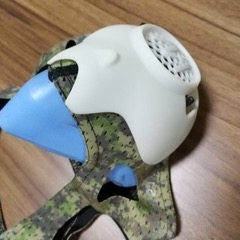 The mask helps athletes develop stamina by artificially replicating the reduced oxygen levels found at altitude. Oxygen reduction can be precisely controlled using the two valve levers either side of the fascia.